Turbo Talk for Tinder came about after Rob O'Rourke was Tindering while travelling. GALWAY NATIVE ROB O’Rourke was travelling around South America, seeing the sites and meeting lots of people when he had an idea. Using Tinder on his travels, he wanted to find a way to maximise the amount of time he spent actually meeting people instead of spending hours swiping. He read up on app building, watched some Youtube tutorials and even hired someone in South East Asia to do some coding. After about five or six weeks ironing out the glitches, Turbo Talk for Tinder was the result. It works by allowing a user to turn on a feature to ‘auto swipe’ through Tinder and giving the green tick to anyone it catches. The user can then look at who they’ve matched and, if they want, can either send messages each person individually or create a default opening line or response to people as a group. The 27-year-old says that his initial plan wasn’t to make a business out of the app, but was just make something for himself to use. Something he said he did for about six months. He says he ended up with over 4,000 matches and over 100 dates on his travels. “I explained to a lot of the girls that I met them through the app that I developed and a lot of them were impressed,” he says. O’Rourke is not a trained app developer but is a University of Limerick graduate who now works as a drilling engineer in the Canadian oil industry. He moved to Alberta after his travels but says that he’s hoping to go back to South America soon. Not least because his now girlfriend (yes, her met her through Tinder) lives down there. Tinder recently limited the amount of ‘likes’ a user can give during a 24 hour period unless they upgrade to Tinder Plus. The upgrade can cost up to €20 a month depending on a user’s age. It means that users of the Turbo Talk for Tinder extension would probably need to be on Tinder Plus to get the full benefit of it. O’Rourke’s app was only launched on Tuesday but he says he’s already got a postive reaction and he hopes it will grow. 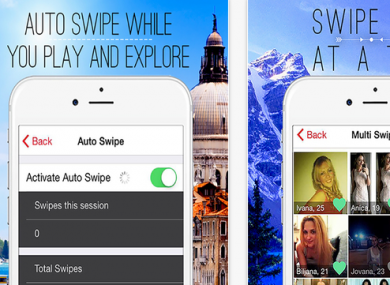 Turbo Talk for Tinder gives users a free 24-hour trial and it then costs $2.99 to have it permamently. O’Rourke says he’s not really thinking of his new venture as a full-time business but that he hopes that it could be “a business that would run itself”. Perhaps bringing in a little bit of income on the side. Turbo Talk for Tinder is available on iOS from the App Store. Email “An Irish guy travelling in South America made his own Tinder app to supercharge his matches ”. Feedback on “An Irish guy travelling in South America made his own Tinder app to supercharge his matches ”.